In the Mid-Year Economic and Fiscal Outlook (MYEFO) yesterday the Federal Government announced the merging of the aged care and health sectors’ workforce funds, to save $595 million over four years. The government announced a “streamlining” of the two sector’s workforce funding programs but did not provide detail on the fate of the $220 million budgeted for the Aged Care Workforce Fund, which itself was the subject of a 15 per cent cut in the May federal budget. The Aged Care Workforce Fund supports a range of initiatives including the Aboriginal and Torres Strait Islander Aged Care Employment Program, Dementia Care Essentials training and incentives to undertake education and training in aged care. There were reports yesterday that the Aged Care Education & Training Incentive Program and Aged Care Vocational Education and Training professional development programs would cease. “While specific indigenous aged care workforce activities and dementia training activities will transition to the Health Workforce Fund, the overall priorities for the Health Workforce Fund will need to be determined,” the spokesperson said. The department did not provide a breakdown of the overall budget allocation to aged care specific programs. The merging of the workforce funds comes after the government last week released the long-awaited stocktake into government-funded workforce programs, four months after it was completed by consultants Health Outcomes International in mid-August. Provider peak bodies have also criticised the funding cuts. 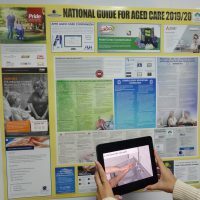 “While details of this measure aren’t yet clear, it is certain that workforce – a key issue for aged care struggling under increasing demand for services – has again been relegated to an afterthought at a time when it needs to be prioritised,” said LASA chief executive officer Patrick Reid.